Do you you want to get out of your slumps? Do you want to move your projects forward? Does it seem impossible to be motivated sometimes? How Would You Like To Get and Stay Motivated Even When You're In a Slump So You Can Reach Your Goals Quicker & Easier? Using These 77 Powerful Tactics, You'll Be Motivated To Do Anything You Desire Like Getting Your Projects Done, Getting Fit and Losing That Weight, and Eating Better! You know the feeling when you just don't have any motivation to do anything? Even the most motivated person can get unmotivated to do things. Even thinking about making changes to our life seems difficult. You want to move forward with your projects. You want to lose that weight you've always wanted to lose. You want to eat more healthy. In essence, you want to do what you've always wanted to, but just don't have that motivation to get it going. Take this scenario - you make a New Year's resolution, a couple of months down the track you realize you haven't done anything towards your resolution. This is a common problem. Yes, I know, it seems impossible to be motivated at times. The feeling is like you don't feel like doing anything at all. I've been in that situation, and in fact I still feel that way at times. So you're not alone. I've written a special report where I share 77 different ways to get and stay motivated, so you can get out of those slumps and get things moving forward. How to create a "personal slogan" to stay motivated. This may sound cliché but it works. This report isn't a "quick fix" to solve all your problems, instead this report gives you a mental change so you can work on better habits in the long run. 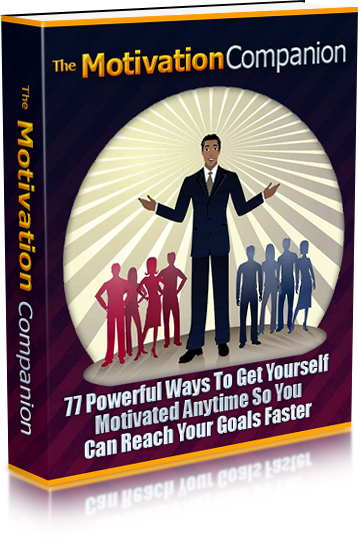 You could go around doing all the research yourself, try out different methods that don't work, and waste all that time, or you could simply invest in this special report where I provide 77 powerful methods to get you motivated any time. Your investment today for this special report is just $7.00! That's a steal of a deal, considering you'll discover 77 ways to get and stay motivated. Even if you know one or two of these methods, there's 76 methods you can make use of. Plus, check out these bonuses! 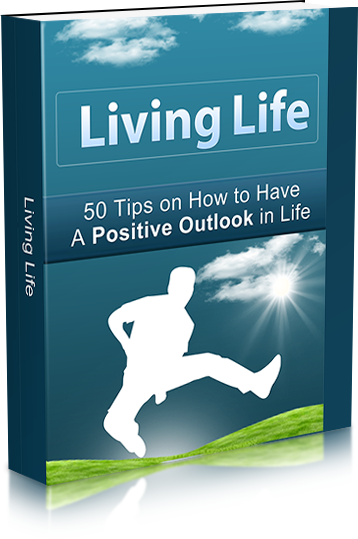 50 tips on how to have a positive outlook in life. How to stop making excuses so you can start doing. Visualization as a way to reach your goals faster. The law of being proactive instead of reactive. 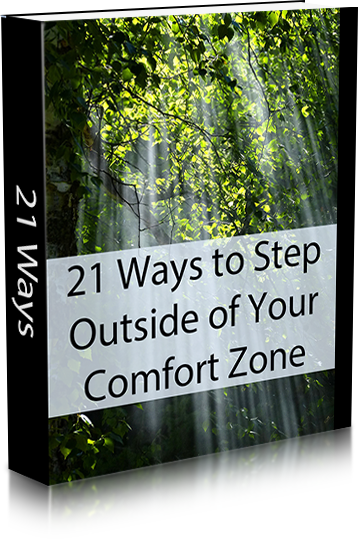 As hard as it may be, try practicing a few of these 21 ways to step outside of your comfort zone daily, and watch your dreams and lofty goals turn into rewarding realities. Finally! 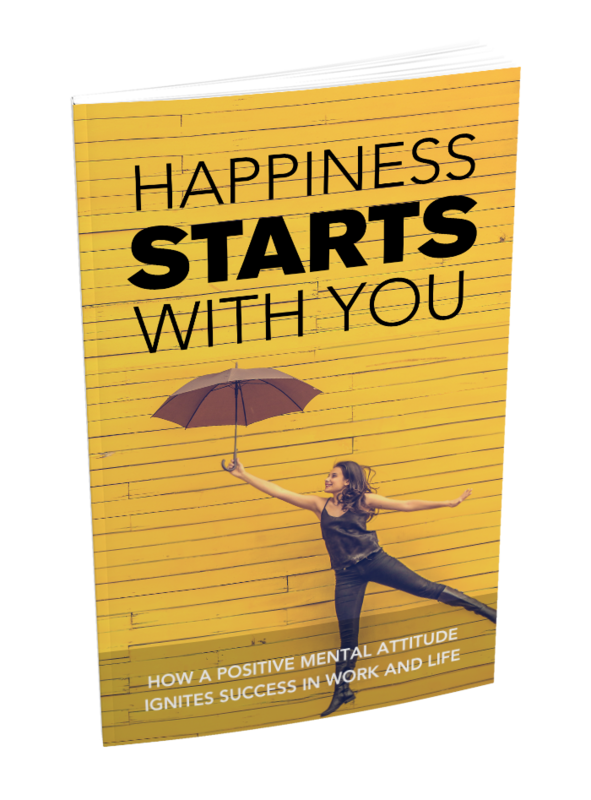 Discover How A Positive Mental Attitude Can Ignite Happiness And Success In Work And Life! 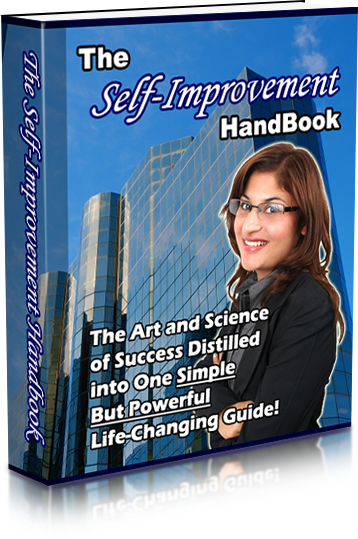 Learn the simple, step-by-step blueprint to finally living the happy life you’ve always dreamed of! 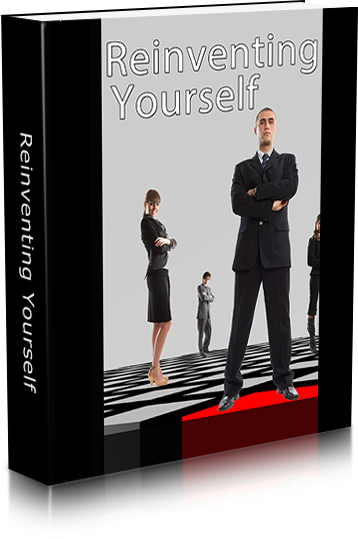 You’ll be amazed at how simple and easy it is to achieve motivation with Reinventing Yourself. You will feel more confident and secure when you master the incredible techniques presented in this special report. I'm not going to try to "persuade" you to buy this report. It's seven bucks. Even if you find a few new ideas, it's easily worth more than this report. You'll probably spend more on unhealthy junk food. © 2019 And Beyond. All Rights Reserved.